j. 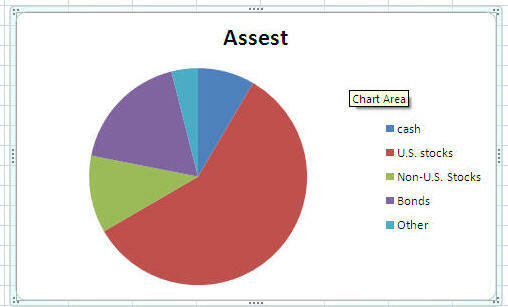 Create a chart sheet. 1. 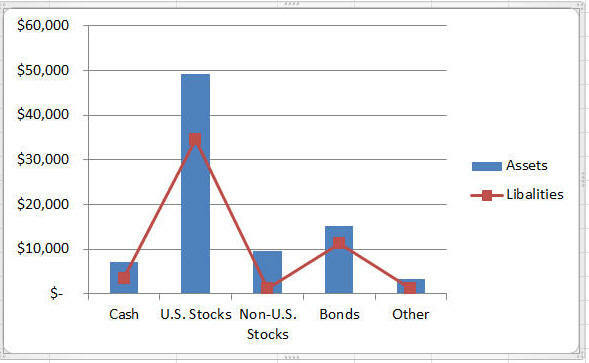 Each chart has a data source that must be selected. 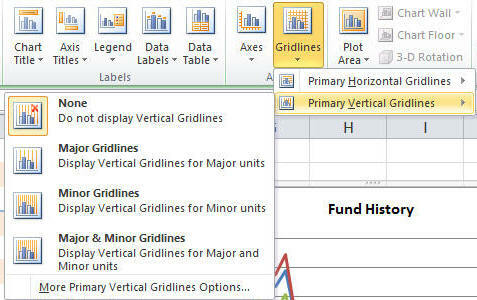 Excel uses the first row of the selected range as the series name, the first column as the category values, and the remaining columns as the series values. 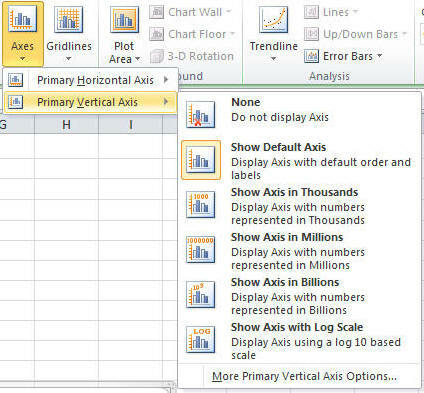 If the data source is organized in rows rather that in columns the first row contains the category values, the remaining rows contain the data values for erach data series, and the fist columns of each series row contain the series names. Bar compares values from different categories. 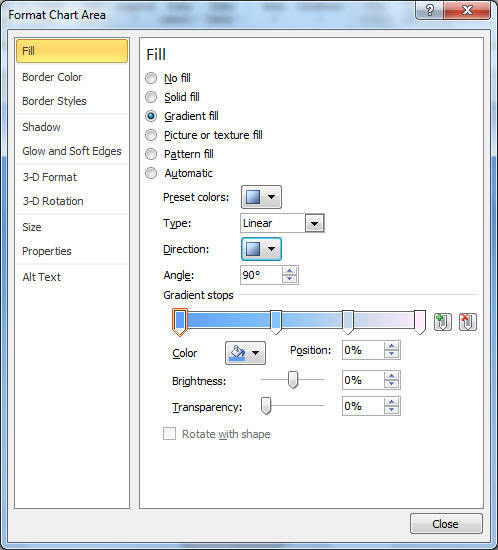 Values are indicated by the length of the bars. Line compares values from different categories. Values are indicated by the height of the line. 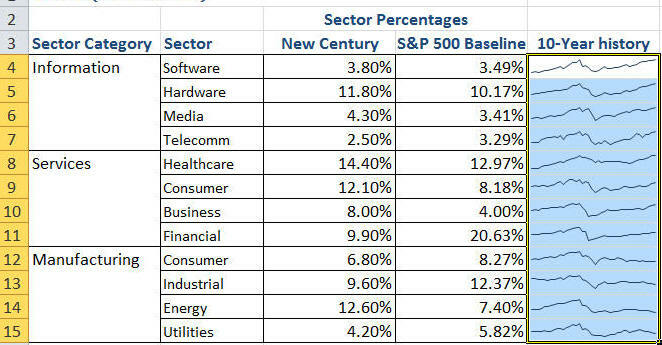 Often used to show trends. Pie Compares relative values of different categories to the whole. 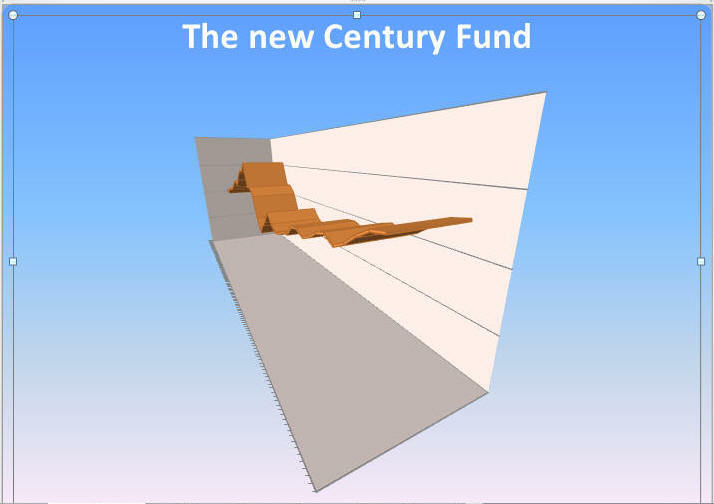 value are indicated by the size of the pie slice. XY(scatter) shows the patterns or relationship between two or more sets of numeric values. Often used in scientific studies and statistical analyses. 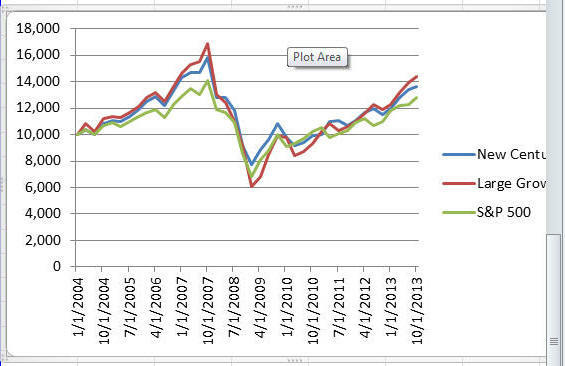 Area Similar to the line chart, except that areas under the lines are filled with colors indicating the different categories. Radar compares a collection of values from several different data sets. 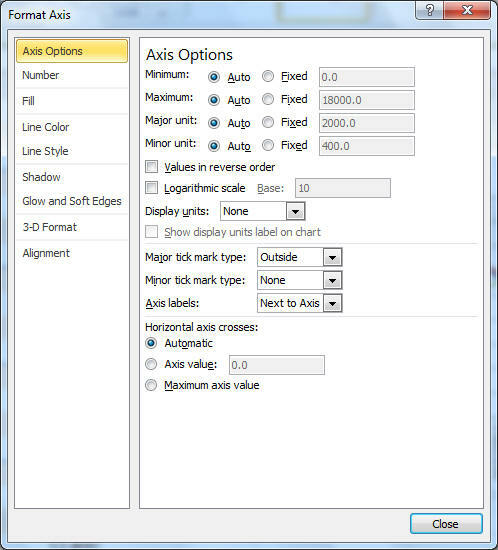 Surface compares threes sets of values in a three-dimensional chart. 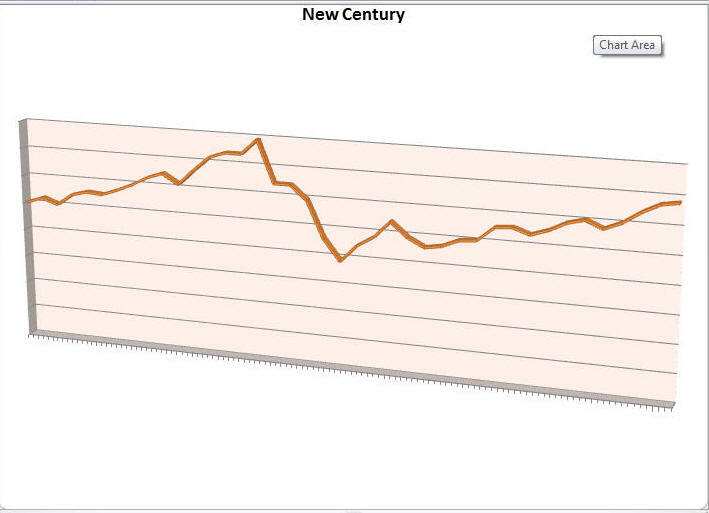 Bubble similar to the XY (scatter) chart, except the size of the data marker is determined by a third numeric value. 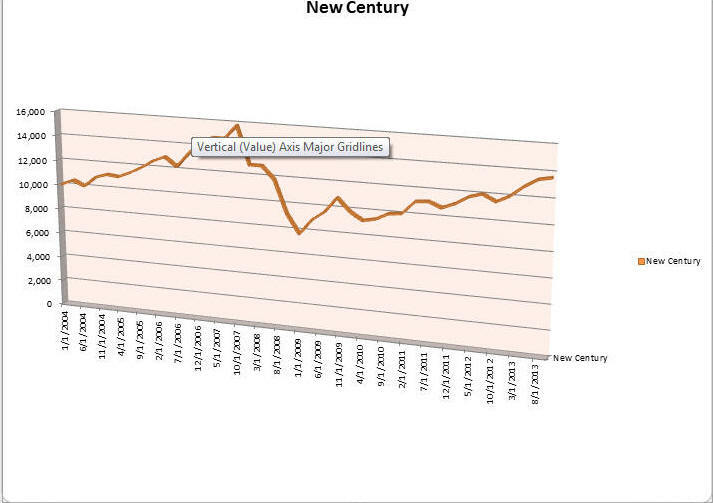 The above is the data being used for the chart below. 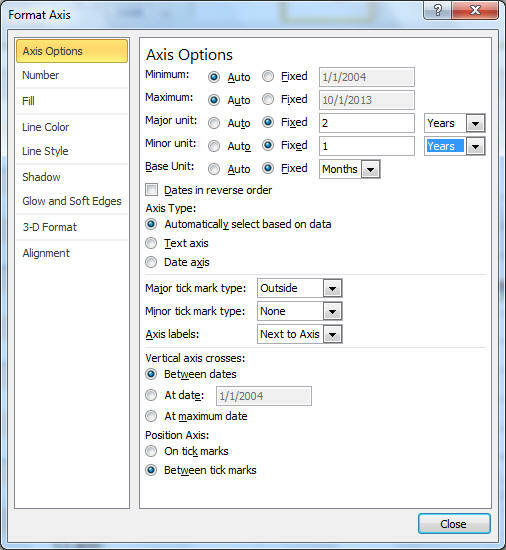 Click the object in if you want to go to an existing sheet and select the one you want. 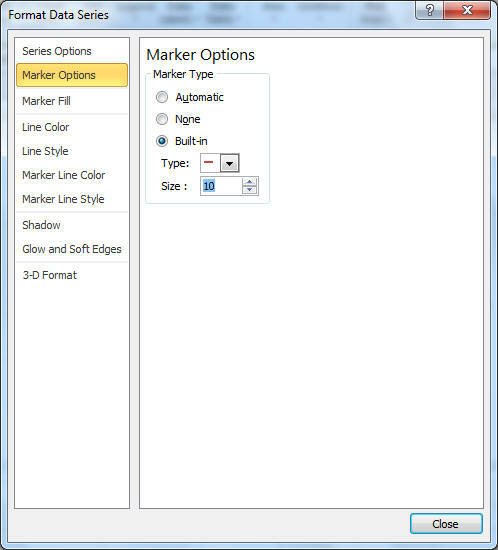 If you are going to a new sheet the click new sheet and type in the name you want for the new sheet. 5. 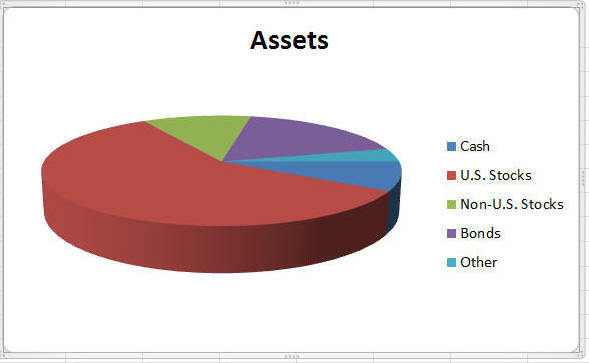 To move the pie chart and size it. 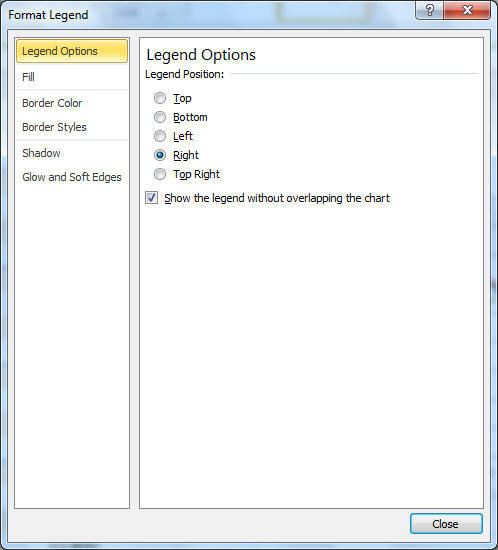 Move the pointer over the chart until you see the screen tip Chart Area, Left click and hold and drag the chart to where you want it. 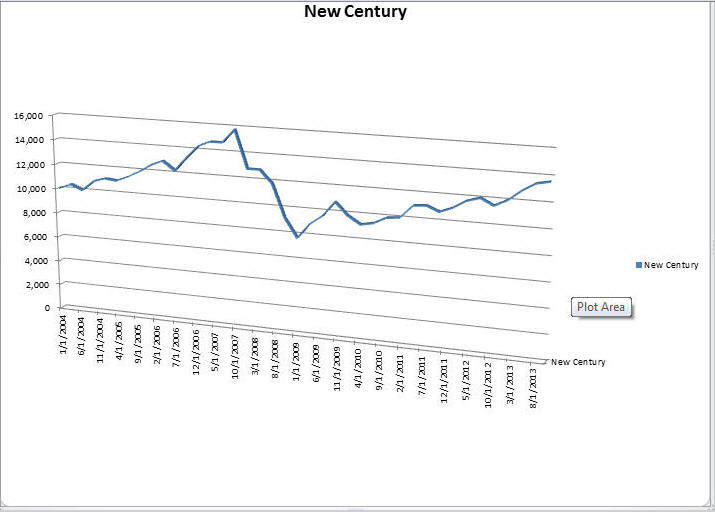 Then move to one of the sizeing handles on the chart and move the cursor to expand or contract the chart. 8. 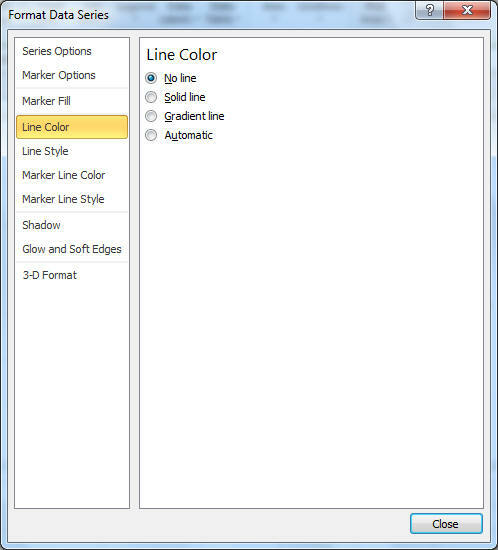 Formatting the Chart Title-click the chart title , type in the new chart title, press enter, cick the home key, click the font size arrow and select the size you want, click on the text color and choose the color you want, click on fill back ground and select the color you want. 10. 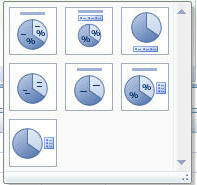 Format pie data labels- click chart, in labels group on chart tools layout tab, click data labels button, click, more data label options, select the option you want. click numbers in the list on the left side of box, click the option you want. 11. 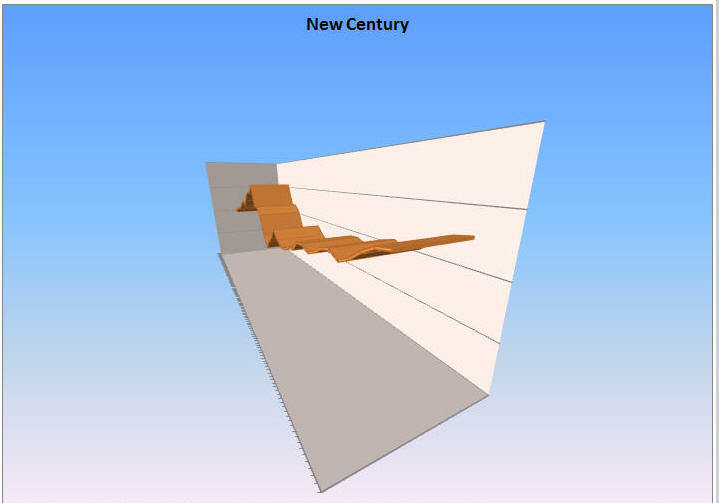 Leader lines might be added to the labels to connect them to their corresponding slices. 12. An exploded pie chart moves one slice away from the pie as if someone were taking here piece out of the pie. 14. 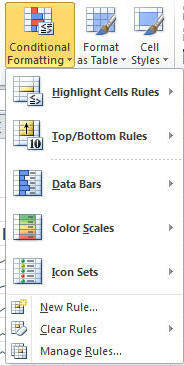 Data labels: In labels group on chart tools layout tab, click data labels button, click more data label option. select the option you want. 15. Pie Slice Colors - click the pie, click one of the slices, chick home tab on ribbon, in font group click fill color button arrow, select the color you want. 16. Rotating a pie chart - double click the pie chart to open format data series box, double click the first slice of the pie chart, click in angle of first slice and put in the degrees desired, OK.
17.Explode a slice of a pie chart. - click the pie chart, click the pie slice you want to explode, drag the selected pie slice away from the rest, release mouse. 18. 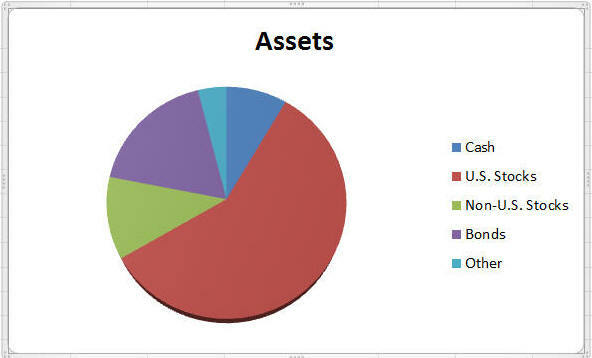 Explode the entire pie chart - click the pie chart, drag any pie slice to explode all the slices, release mouse. 19. 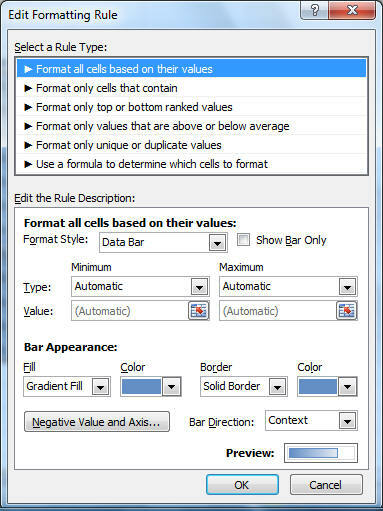 Editing data source of a chart- go to the cell(s) that contain the data that the chart uses and change the data where appropriate. 20. 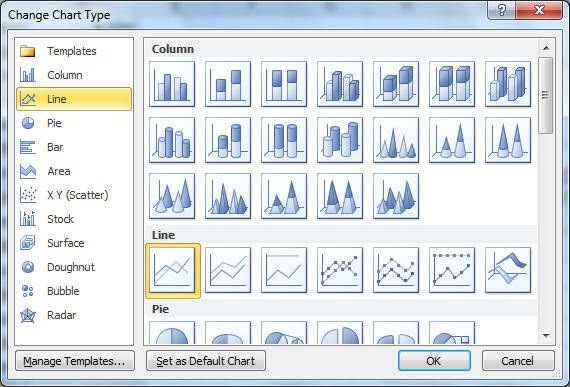 Changing chart type- click the chart, click chart tools design tab on the ribbon., in the type group click change chart type, select the chart type you want. 21. 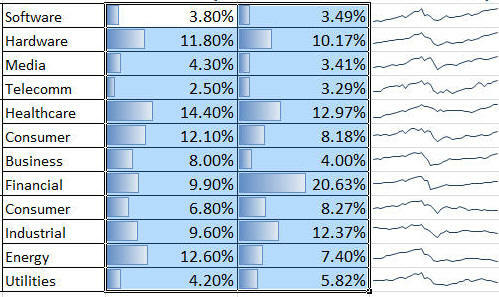 A column chart displays values in different categories as columns with the height of the column being the value of the data. 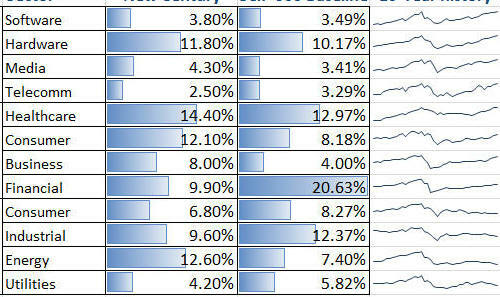 A Bar chart is a column chart turned on it side. 22. 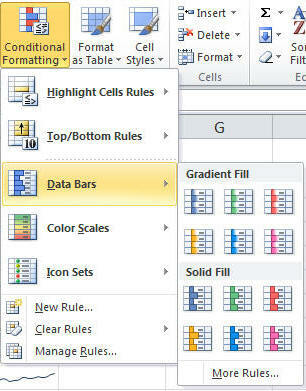 Creating a column chart - select data, click insert tab on the ribbon, in charts group click column, select the type of column chart you want, if you want the chart placed in another sheet, in the location group on the chart tools design tab, click move chart button, click object in arrow and select the sheet you want the chart to be place in. Scale is a range of values that spans the vertical axis. Minor tick marks to further divide the space between the major tick marks. 24. Format legend - click chart tools layout tab on the ribbon, in the labels group click the legend button and click the option of your choice. 25. 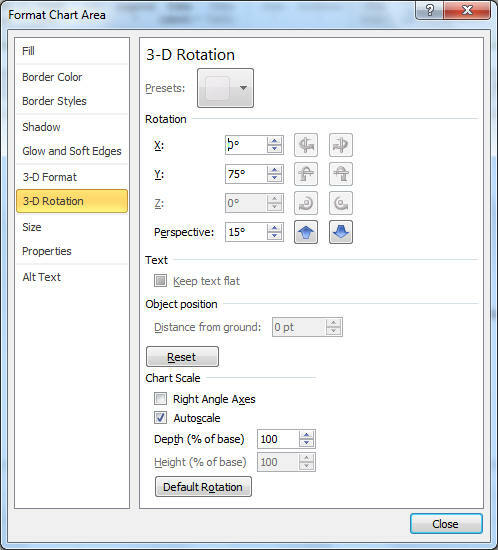 Format chart title - click the chart title, click home tab on the ribbon, in the font group, click the font size arrow, click the font size you desire, enter. click major unit fixed button, press tab, key in the sixw of major tick mark, click number, type in the number of decimal places, click close. 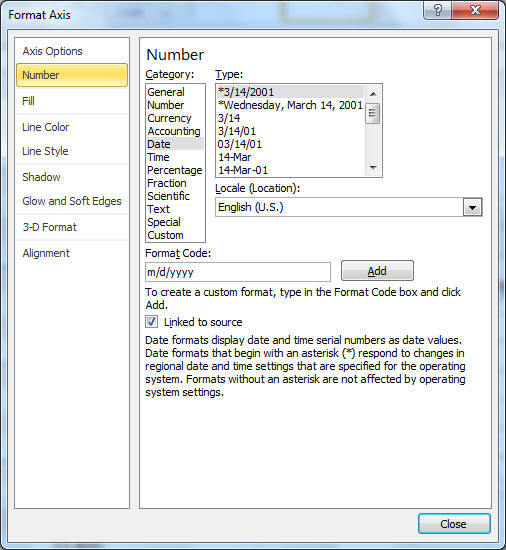 Select the options you want to apply to the columns from the format data series dialog box , click close. 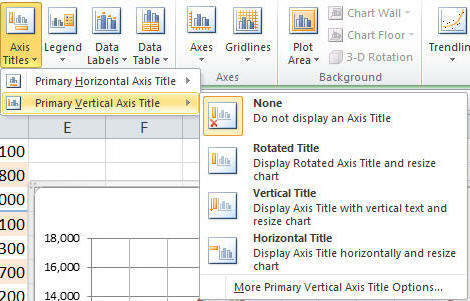 With the chart title selected, type in the new title and change the format to what you want. Select the option you want and type in the title. 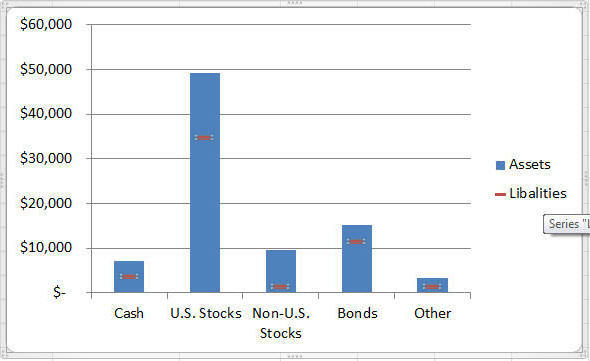 b. categories are the labels tat apear on the category axis. d. order is the order in which the series appears in the chart. 30. 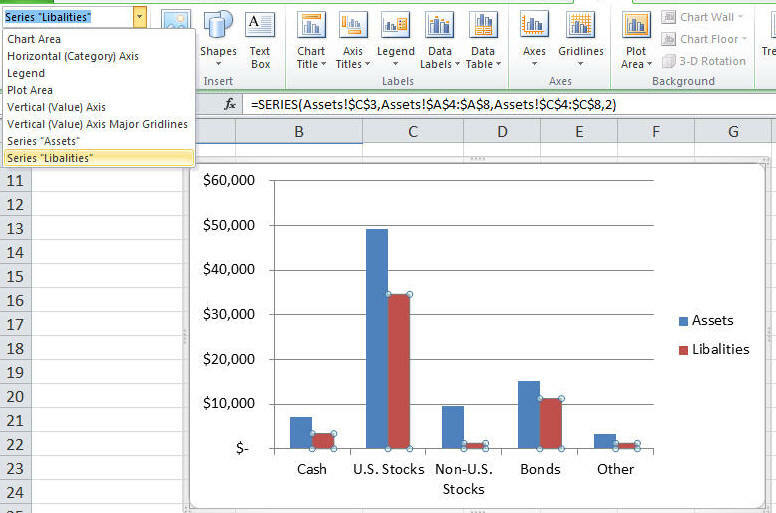 Combination chart is a chart tht combines two or more chart types in a single graph. 31. 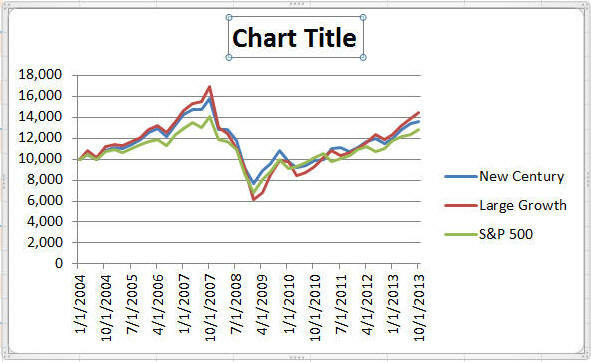 To remove the line and edit the markers in the line chart. The data bars have been adjusted so that all of the values are displayed. 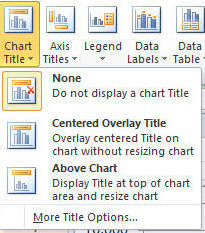 d. Click the chart tools layout tab, in label group, click legend, then cick none. 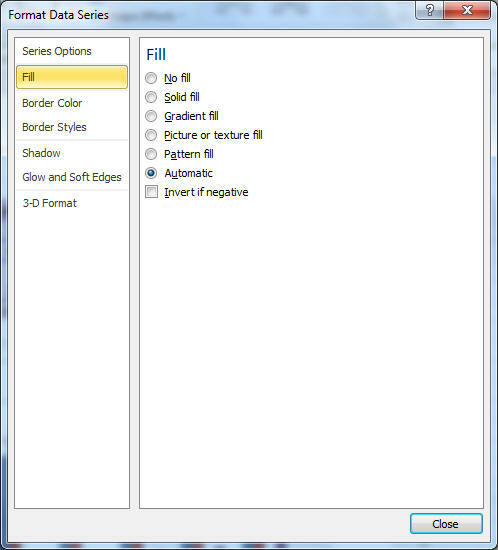 g. Click the fill on the left side of the dialog box, click gradinetg fill, click preset colors, click daybreadk, click direction, click linear down.